PELEE ISLAND, ON – Ontario Beverage Network reports that a Pelee Island bar and restaurant specializing in craft beer has launched an exclusive house beer. Stone House 1891 Craft Bar & Kitchen is located in an historic building that was built as a home in 1891, and later served as the island’s liquor store, as well as a rumoured base for bootleggers who ran liquor across the border during U.S. prohibition. 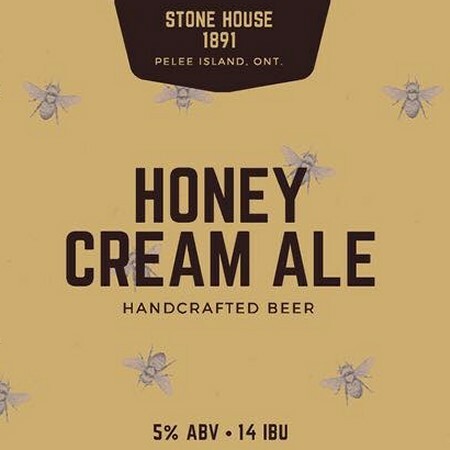 New to the line-up of craft beers on tap at the bar is Stone House 1891 Honey Cream Ale (5% abv, 14 IBU), which has been brewed especially for the restaurant using locally harvested honey. While the beer is currently being brewed elsewhere under contract, Stone House is planning to set up an on-site nanobrewery in the near future.